Exit 23 S, Mamaroneck Ave south, Take Mamaroneck Ave to the end, Make a right onto Boston Post Rd. The studio is one block on the right hand side. Exit 18A Fenimore Rd towards Mamaroneck, turn right on Fenimore Rd, at the end of the road make a left onto Boston Post Rd. The studio is 2 blocks on the left hand side. Exit 18A Mamaroneck Ave East, Take Mamaroneck Ave to the end, make a right onto Boston Post Rd. The studio is one block on the right hand side. 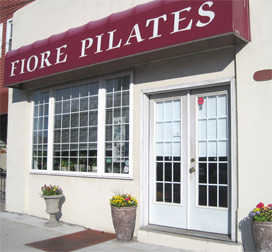 Located on Boston Post Rd (Route 1) across from the Mamaroneck Harbor, one block south of Mamaroneck Ave on Boston Post Rd.